Manual retractable assembly with ball valve. 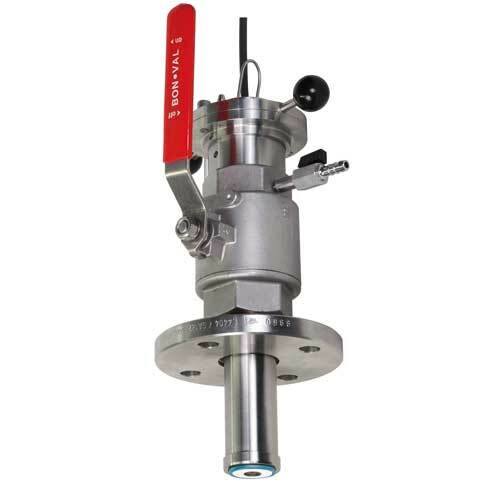 Manually operated stainless steel assembly with ball valve for pH and ORP electrodes CPF81/82. The maximum process pressure is 2 bar (29 psi) for manual assembly operation. G2 internal thread, G2 internal thread with welded fitting h'50mm/1.97", flange DN50/PN16 acc. to EN 1092/1, flange ASME 2"/150lbs.